paldinchronicles | My world, the people, the places, the technology, the culture, the wars, the weapons, the deaths and births of many characters. Continuing to investigate branding and identity for a establishing a presence within industry. I decided to use my alias for inspiration. I have chosen to use a revised version of my Media Wolf logo. Featured below. I want to be a character and environment artist I thought this would be a suitable logo as it’s one of the first character’s potential employers will see. 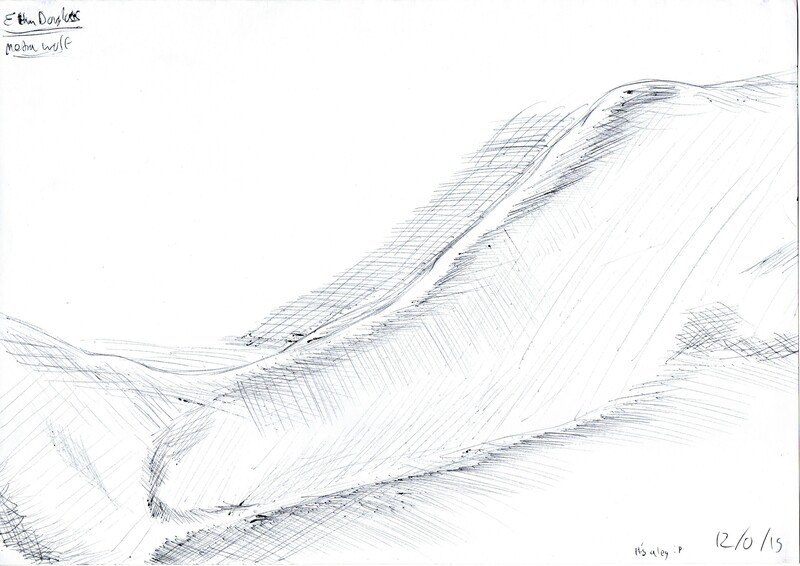 It has a sense of flow to it with the curving lines that make up the fur giving it a memorable and pleasing appearance. The bright blue hair carries several meaning within colour theory from intelligence, understanding and knowledge to power, integrity and seriousness. However more common understandings would relate it to safety signs, commerce and a colour generally associated with masculinity. 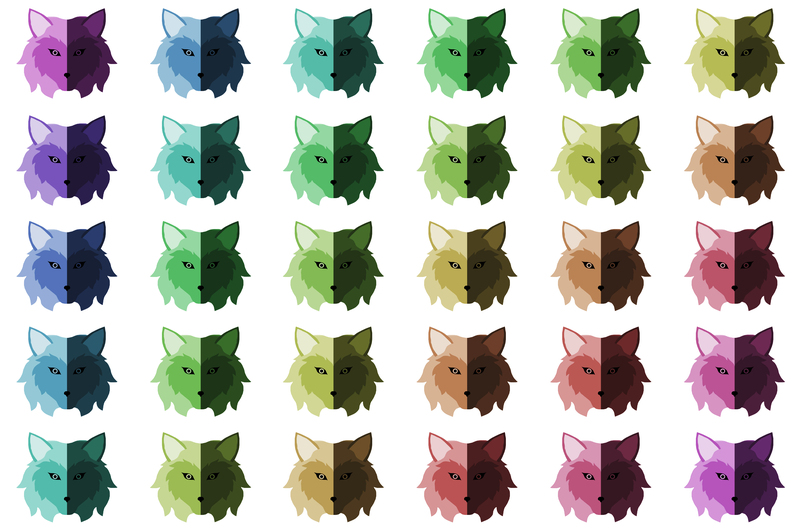 I decided to try out different colours and shades to see which works best. a simple change of colour can affect how people see the branding and what they think about it. 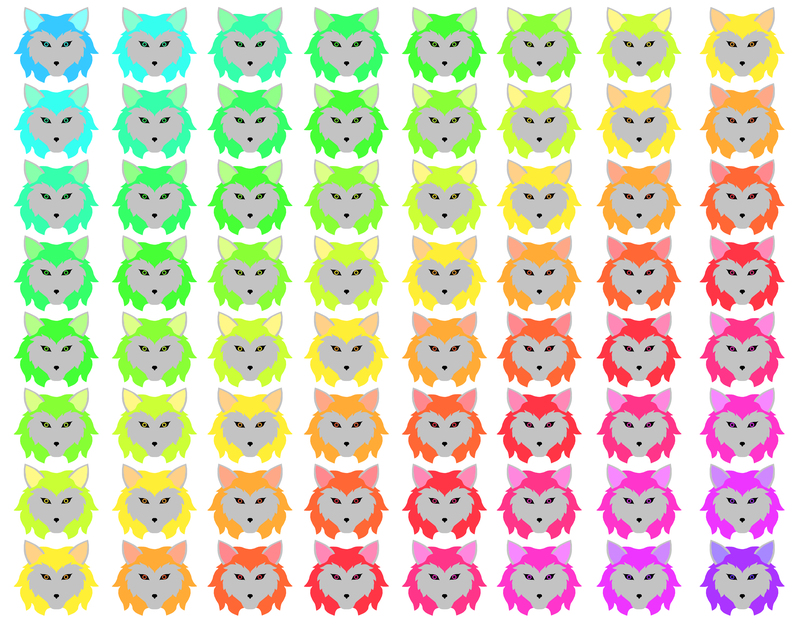 I have decided to have a set of logos for different uses but my primary logo will be the blue haired one. 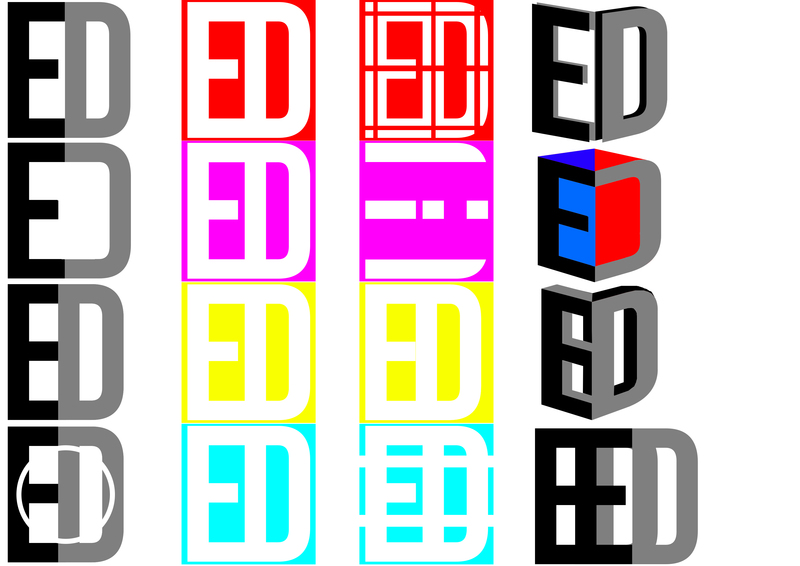 I personally prefer it to the other colours and it goes back to when I first made the logo. From an outside perspective and my knowledge of colour theory It conveys a lot of positive qualities. I could use a greyscale version on certain products and promotional materials such as business cards. 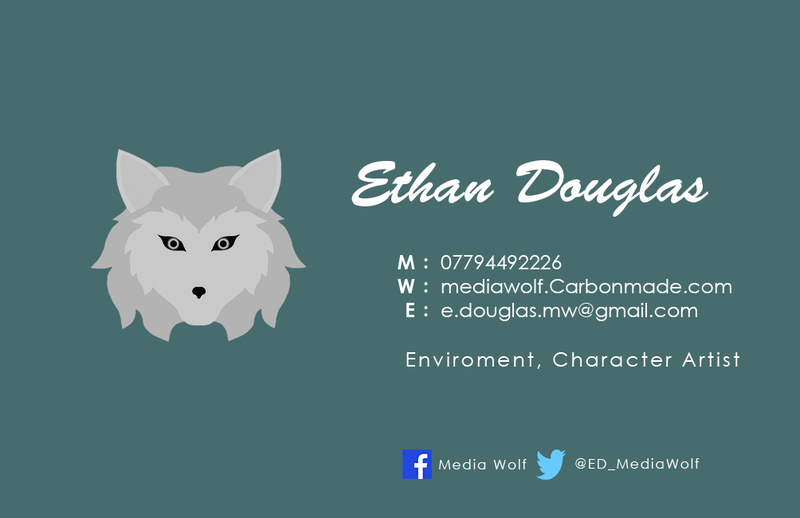 Creating a business card is no easy task and i struggled to come up with a design on my own. I did get receive help and feedback when it came to designing my business card and was taught about structure and hierarchy when it comes to designing similar material. 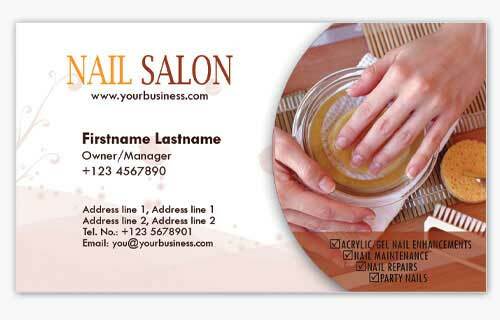 Structure is important when it comes to creating a business card it gives it order and a more professional appearance. 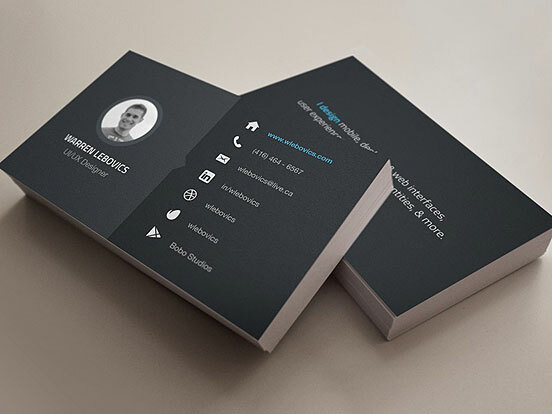 A well structured business card has its text aligned along an invisible border. Shown here in these examples all the text is lined up nicely, the company name doesn’t have to fall in line with any other text on the card. Hierarchy is another important aspect of design it is the order in which information is conveyed to the viewer. 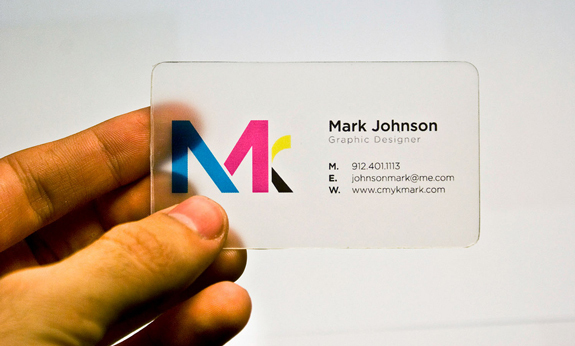 Naturally the eye is first drawn to the largest or most colourful image on a business card. In most cases this is the branding of the company or individual a logo or symbol by which they are identified. Then the eye would be drawn to the next largest element on the card and then the next and the next. The eye can be guided by the use of hierarchy, Starting at the logo then drifting down to the name of the company or individual then down to contact information and finally any other relevant links or information. 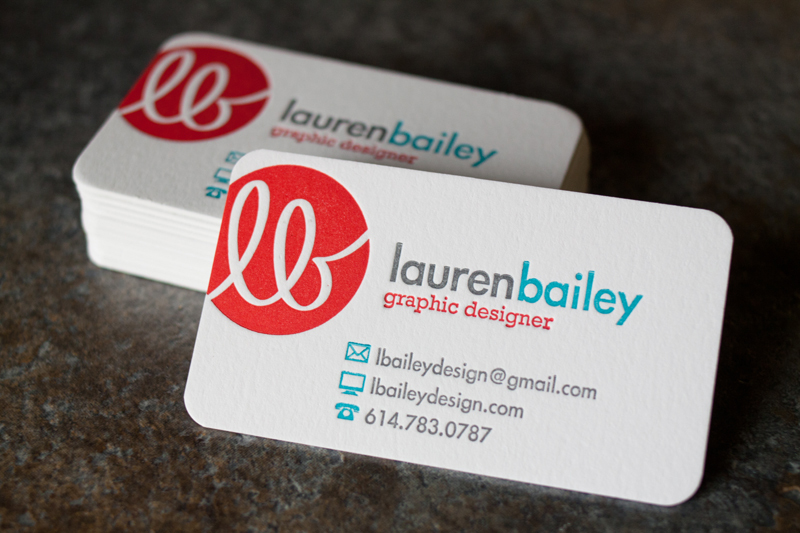 A good design takes advantage of as well as into consideration the hierarchy on the card. One element should naturally lead to another. In the examples below the eye is first drawn to the logo, being that is is the large and most noticeable element on the card. Then the eye is drawn to the next element in this case the names of the individuals these cards represent. As their names are in close proximity to their logos and the second largest element on the page. From their the eye is drawn naturally down the hierarchy in this case the individuals occupations. finally the eye is drawn to the smaller elements the contact information. Sometimes the most simple designs are the best as less is often more when it comes to current design trends seen in the current flat design theme, most of the business cards I’ve looked at are simple using a solid coloured background. 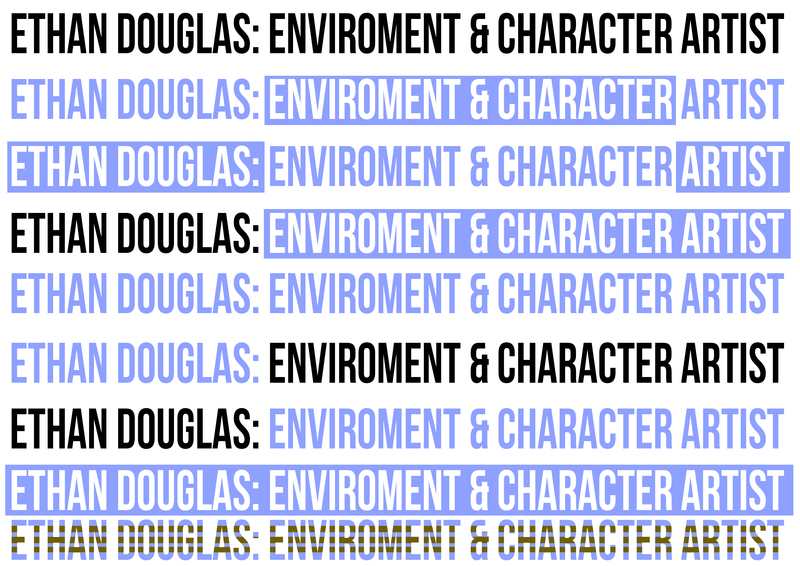 commonly on business cards one or two typefaces are used usually to distinguish the person’s name and draw more attention than the contact information an important aspect of setting up a hierarchy. 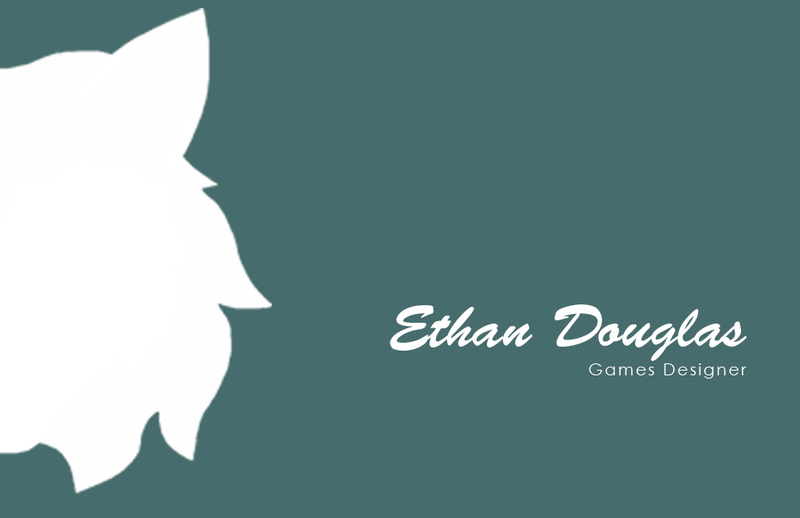 Here is my business card so far, it may be changed at a later date. 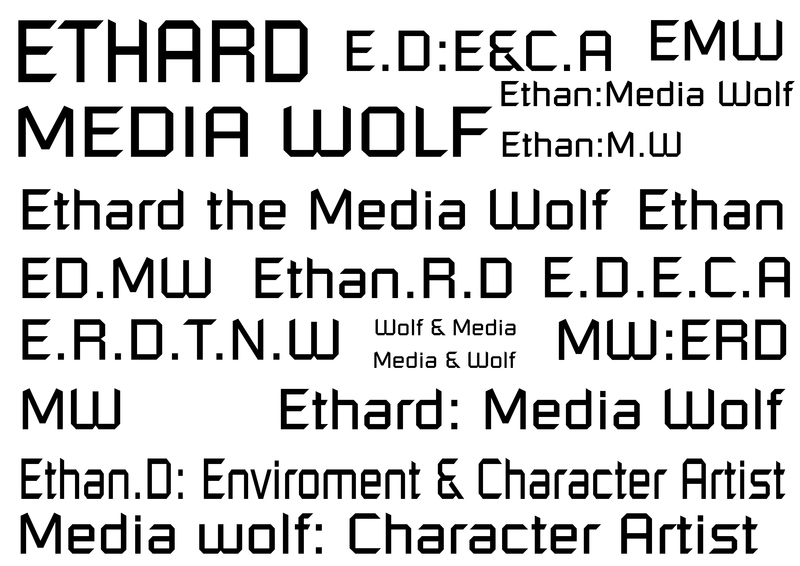 I have looked in typography and colour theory to try and influence my personal branding, So i’ve done some experiments with various fonts and colours. 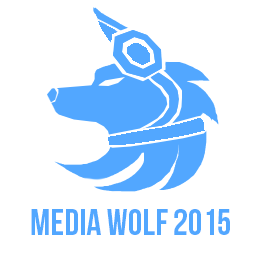 I ‘m still a little unsure about how I want to approach the branding. I’m thought about using my initials for my logo. But I can’t think of much to do with an “E” and a “D”, I’ve also tried to include my middle name initial as well to make it E.R.D. However I’m not satisfied with anything i’ve produced so far. 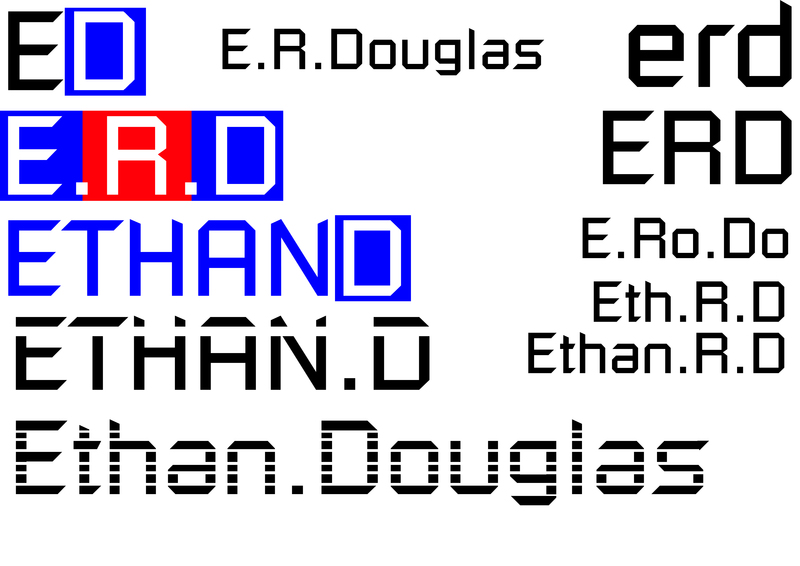 I also came up with the name Ethard a combination of part of my first name and initials of my middle and last name. A slightly amusing and silly name that is sure to catch people’s attention and humor is often a useful method of getting people to remember it. 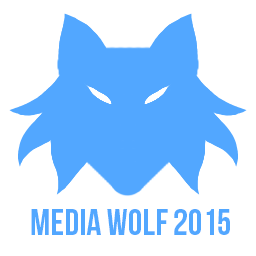 I’ve even thought of using my current online persona: Media Wolf. From a personal viewpoint I like it, however from an objective standpoint I don’t believe it conveys a proper sense of professionalism. 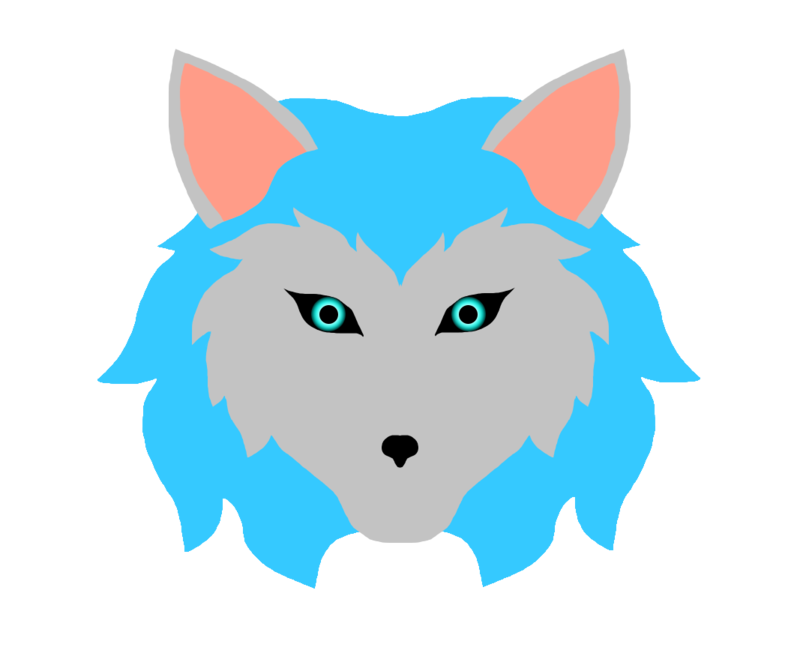 The word wolf generally has alot of negative connotation associated with it, often people think of wolves as vicious and savage creatures. 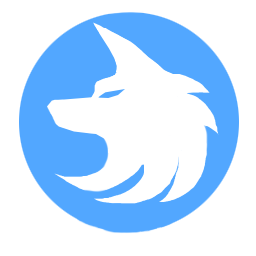 The word wolf is sometimes used to refer to greed or a man who seduces women. 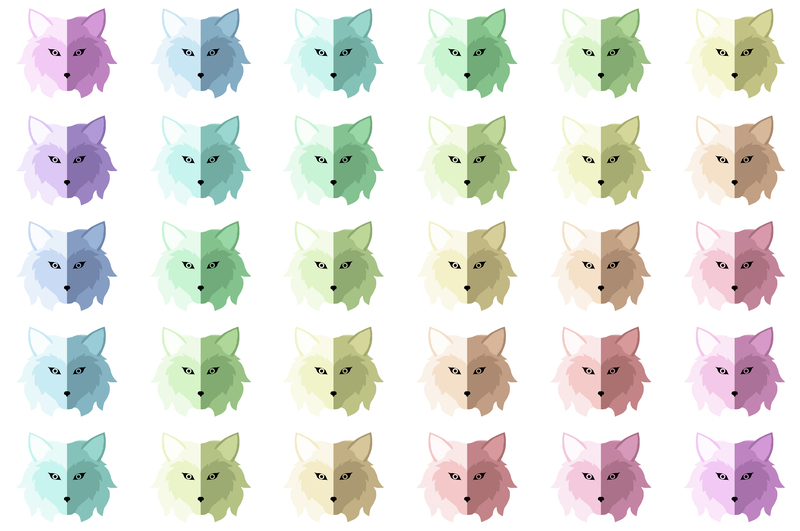 I decided to also look into Spirit animals to see what a wolf means, I found that wolf spirit animals are associated with: Sharp intelligence, deep connection with instincts, an appetite for freedom, expression of strong instincts and a lack of trust in someone or in myself. 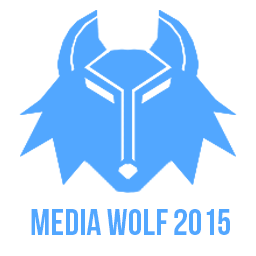 Media wolf could symbolize my strong connection to Media as part of my identity as a denizen of the Digital Age. 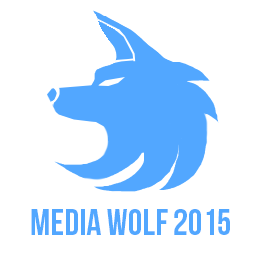 so I decided to make a few new Media Wolf Logos using the current flat trend. 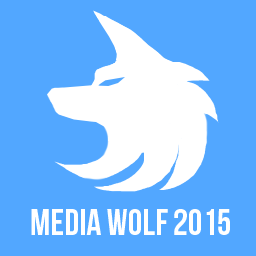 The above Image is my old Media Wolf Logo, currently used on my facebook and steam. Below are my new designs the last few appeal to me with their flat angular styled look and head on portrait, I think they has potential. They all seem a bit ominous and menacing which fits with the wolf’s negative connotations. I’ve also looked at current trends, the most pervasive one currently being Flat. The flat trend is widespread and has affected many forms of social media and even some companies who have redesigned their classic brandings to reflect this new style. Flat uses simple solid colours, no gradients, no shadows or highlights either, as the style name suggests it just looks flat. 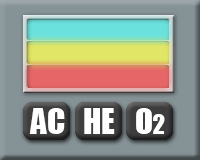 There;s also a lack of colours as only one colour is used in most logos. On a personal note I prefer the older glossy styles, they made the logo so much more interesting in my opinion. The addition of gloss gave them form rather than being simple shapes. The flat trend has also extended to application logos, operating systems on computer and phones. The above image was sourced from a blog: Developing for Dynamics GP. It shows the progression of the windows logo over the years. 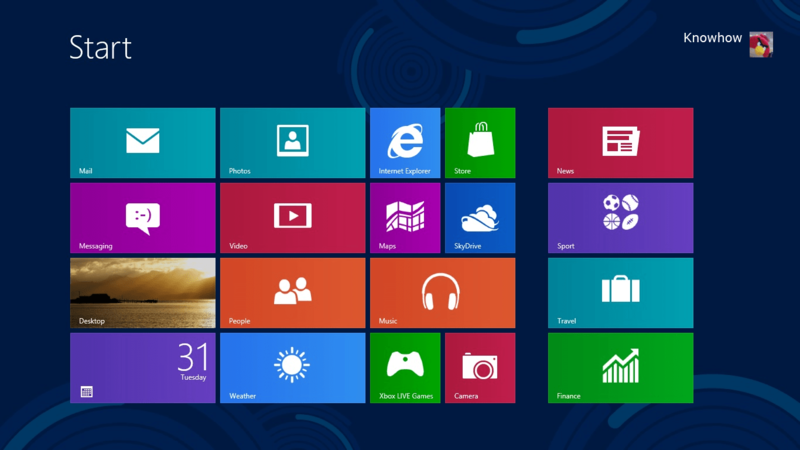 Each new iteration was introduced with a new version of windows. Some of these designs may of been due to technical limitations over the years. in comparison of the oldest logo to the current logo the design is almost the same, perhaps this is a sign of postmodernism within logo design returning the simpler and more basic and or “traditional” designs. This is an example of how the flat trend is being used in operating systems, but the flat trend has not taken over everything as some logos still use gloss and gradients and plenty of colour. I struggling to come up with a branding I’m happy with or one that I think will be suitable for professional use. An important part for getting noticed in the industry is to build a portfolio and professional identity. I have discussed the best approach to an identity from creating a persona to just presenting myself in a professional manner. This would include having a well managed website to display my portfolio, contact information, some information about me and my interests, possibly a section about my qualifications. I have the option of using a persona in place of my real name however it doesn’t help convey a sense of professionalism. A persona may help me to stand out more but it’s more of a playful or mysterious representation. A persona is something to hide behind to create an alternate identity. 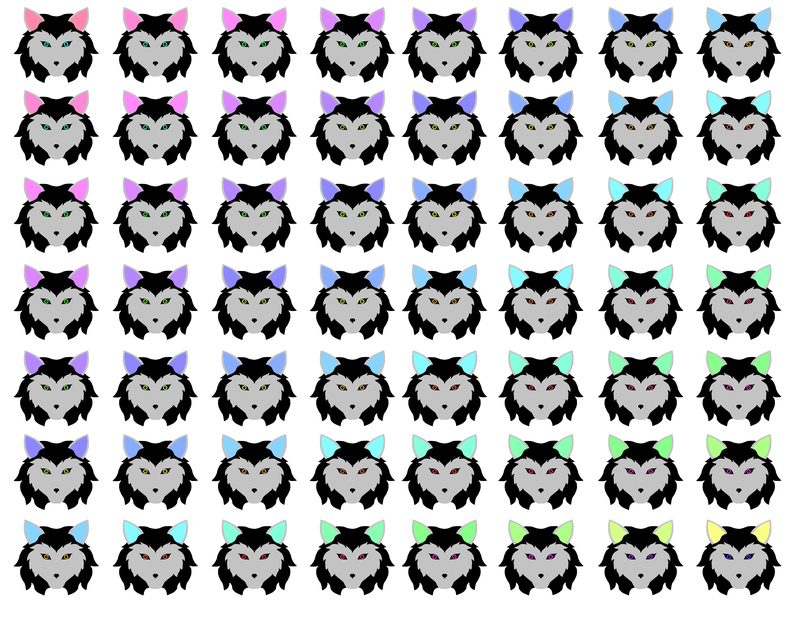 While This could be useful for posting my other artworks, which I deem unsuitable for my portfolio. 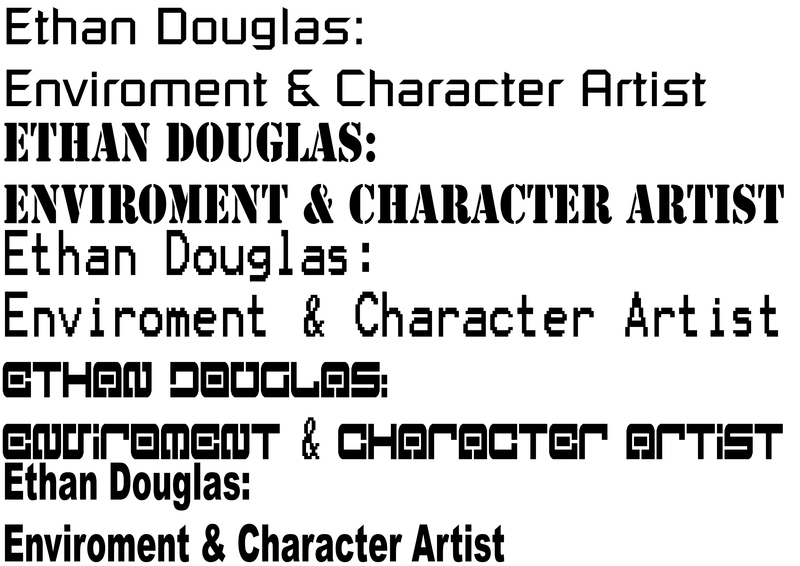 For a professional online portfolio it’s better to my full name. Another part to forming an identity would be to have my own branding to place on my art works perhaps a small symbol unique to me. Which over time people would come to recognise. The simplest idea would be to use some stylized initials or a simple icon. One of the benefits of an icon is it can be used for more than just a water mark on artwork it can also be used on business cards to promote myself. A small stylized business card would help me get noticed and get my contact information out to those who want to check my work out. When it comes to creating an online portfolio there are so many websites to choose, WordPress is a one of those blog hosting sites that offers a free service along with a paid service. The paid for versions allowing for greater customisation. 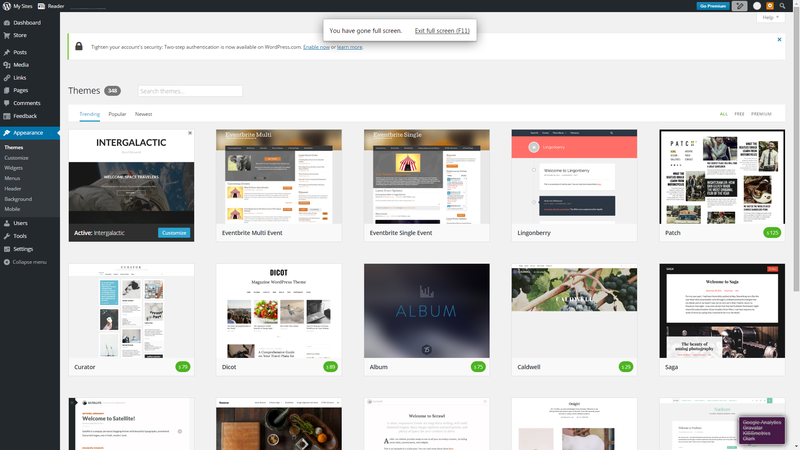 however even the free version has a great way of organising and categorising posts to suit a user’s needs. This feature makes for easy navigation, allowing potential viewers to find specific posts with some ease. However the one problem is the customisation of the free version is limited and it won’t be possible to truly create a personal portfolio site. It does however have many different themes to pick from allowing some customisation, yet still very limited. But it’s a good back up or starting point that doesn’t cost anything to use. Deviant Art may also be another way to display a portfolio, however it’s not exactly professional in my opinion and cannot be customised all you can do is upload your pictures, name and describe them. A free member ship on deviantart has limitations in place. I don’t think it’s that suitable for a portfolio site but it is a good place to post your work and get feedback from a community of artists. It’s a site that’s better to use after I have established my main portfolio and gotten a reputation. Using it as a sort of backup gallery for my other artworks. 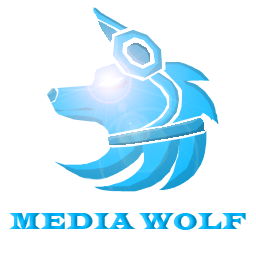 I also have the option of creating my own website, the only problem is I have almost no experience in making websites. I’d have to hire someone to help me create a website or ask a friend. But my own personal website with it’s own domain name would stand out more if it wasn’t attached to an existing site such as wordpress. I looked into a portfolio website said to be used by professionals, it’s a website service that allows people to present online portfolios in a professional manner. It’s called Carbon made ( https://carbonmade.com/ ) There are different versions available. there’s the free version which is very limited in it’s options. There are several packages available at different prices. 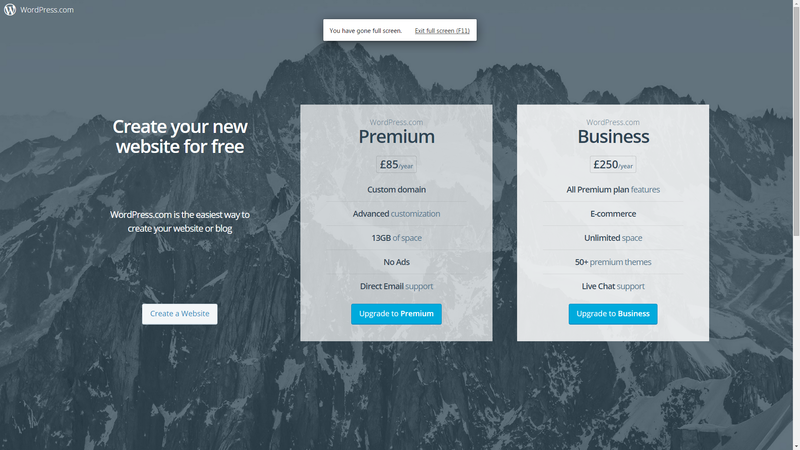 The more expensive packages allows users to showcase multiple projects, personalise their pages, access stats and more. 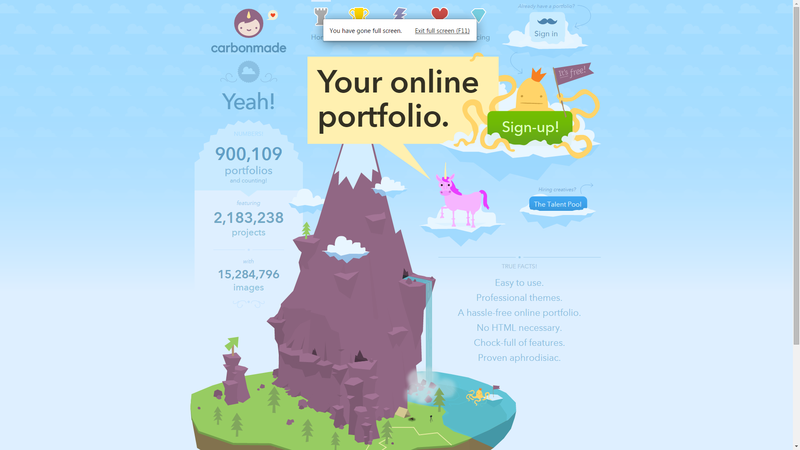 which are all great features for an online portfolio. This is a limiting option that would only seem worth it if the user has their own source of income as the packages cost monthly fees. The range of customisation and control a user can have over their portfolio on this site is impressive. I looked through some of their examples and was surprised by how different each one was, they all seemed like they were from completely different sites. 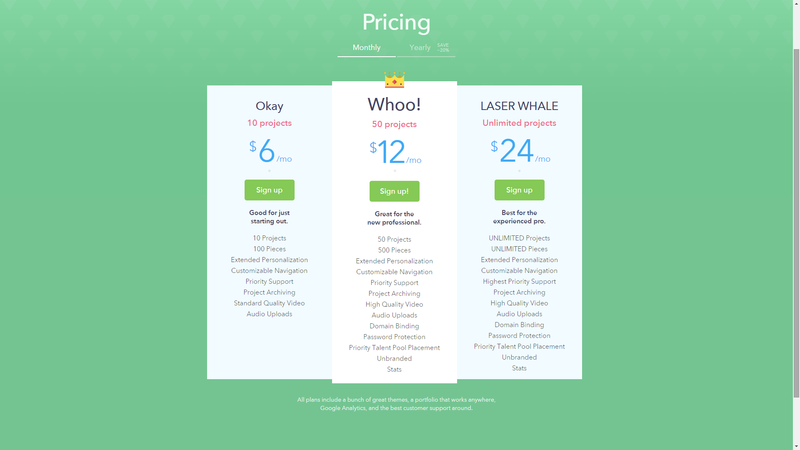 It’s a good option to go towards and the middle package only costs $12 a month. Two areas of the games industry I am interested in are the areas of environment and character artist. each has their own skill sets to learn in order to fulfill the role. To be a character artist requires a strong understanding of both human and animal anatomy which includes shape and form. It also requires a great foundation in traditional art. However a character artist much aslo be able to listen to and learn from critiques from teammates and projects leads and the overall art direction of the project. Being able to come up with creative solutions and being resourceful is also considered a requirement by games companies looking to hire character artists. To improve my abilities I am attending life drawing classes these help develop an understanding of human anatomy. These lessons cover important areas of art including shape, proportions, tone, shadows, highlights and negative space. Below are a few examples of my work from attending these lessons. attending life drawing has also improved my traditional art skills and taught me shading and highlighting techniques which allow me to give form to my work. This is a good foundation from which to further develop my skills, drawing from observation and reading drawing guides will help build upon these skills more than attending life drawing alone. So I plan to read through how to draw books, draw objects and scenes from real life. I’ll start small and develop the basic fundamentals of art such as basic primitives and simple lighting and move onto larger scenes and more complex shapes and forms. 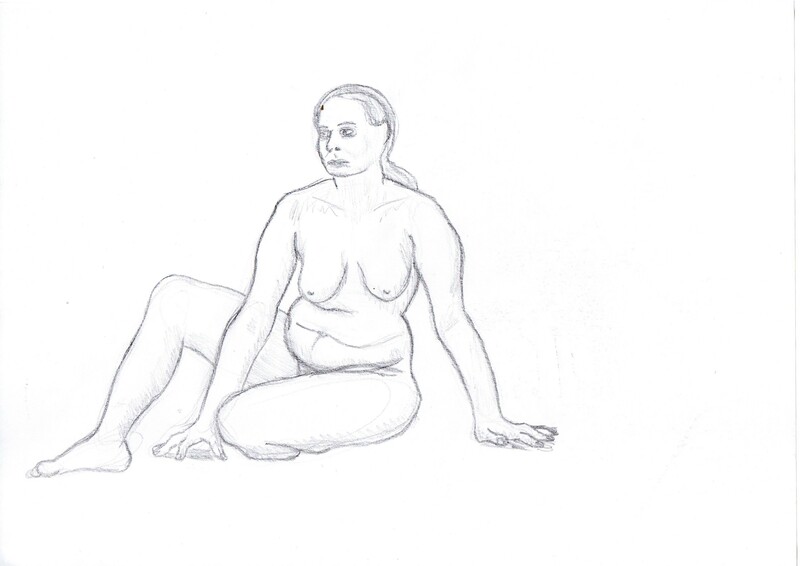 Below are a few examples of sketches from my time attending life drawing sessions. Being an environment artist requires the ability to demonstrate individual designs skills including concept and creation of assets that are both original and still look and feel like their real world references. An environment artist also has to ensure that the artistic style is consistent with the rest of the game and other assets within. modeling and texturing skills are a requirement for this role in the industry however them alone are not sufficient enough to work in environments. Environment artists must also be able to create immersive, living and fully-realized environments. which means making the environment seem lived in or alive, a few simple touches here and there can vastly improve an environment. learning about mise-en-scene can greatly improve the quality of an environment as well as making observations of them in real life. Visiting locations relevant to the current project and researching similar ones will improve the development of the virtual environments. skills learned from life drawing will also help me develop my concept skills which will make it easier to concept environment designs. There is no minimum education requirements to work as a game artist. But most employers will be looking to hire people with experience, a minimum of 3 years at most of working in the development of game art. Formal education isn’t required but being educated in the areas of art, graphic design and game design will help my chances of getting employed in the future. Game artists need to also be familiar with adobe software such as Illustrator, Photoshop, Flash and Maya. Employers may also be looking for game artists with experience with actionscript. An understanding of colour theory, typography illustration and composition are strongly recommended. So researching these areas will also help me when applying for either of these jobs. I gathered these images while watching Once Upon A Time In The West. I tried to capture images of the buildings from different angles. I also tried to capture the layout of the street and the insides of some buildings anything that I considered useful for the project. It’s mostly shots of the town and the buildings that make up the town. There was alot of interesting construction work with a lot of variation. Some of the buildings you can clearly see are cobbled together the pieces of wood are warped, misshaped and have large gaps between them. But other buildings are refined made with straight pieces of wood overlapping each other, a much more advanced and developed structure. The fences in parts of the town are also just cobbled together out of logs and bits of wood. Structures like that should make up the outskirts of the town in the project. The following images were taken from the film a Fistful of Dollars, I tried to capture mostly buildings to get a feel for the town and how the overall look of the buildings. The most interesting buildings were those that had cobbled together fences, sign posts and thatched roofs. A lot of the buildings featured in the film were quite developed being made with stone and wood some of which are two stories high. These images should provide inspiration for designs towards the development of the project. 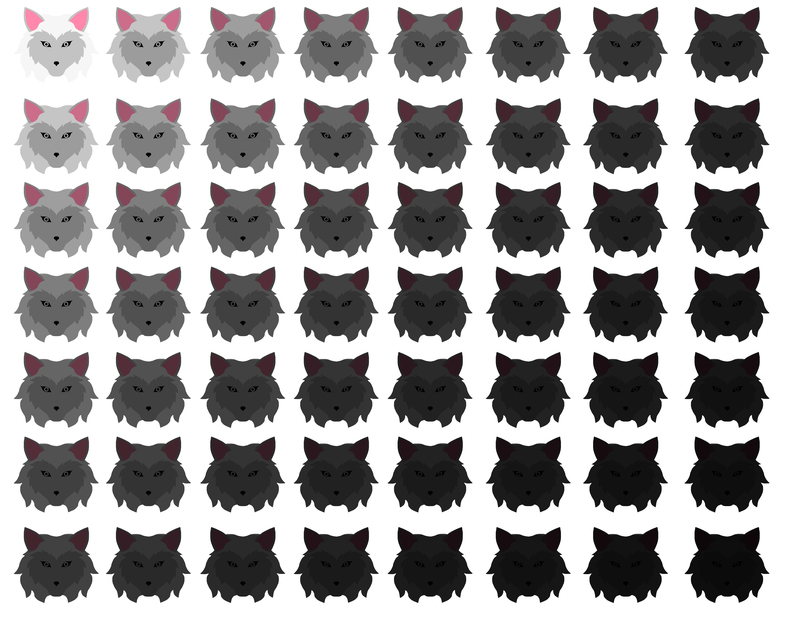 Click on them to get a larger version, however the quality of these images is low. This is most likely due to the age of the film. 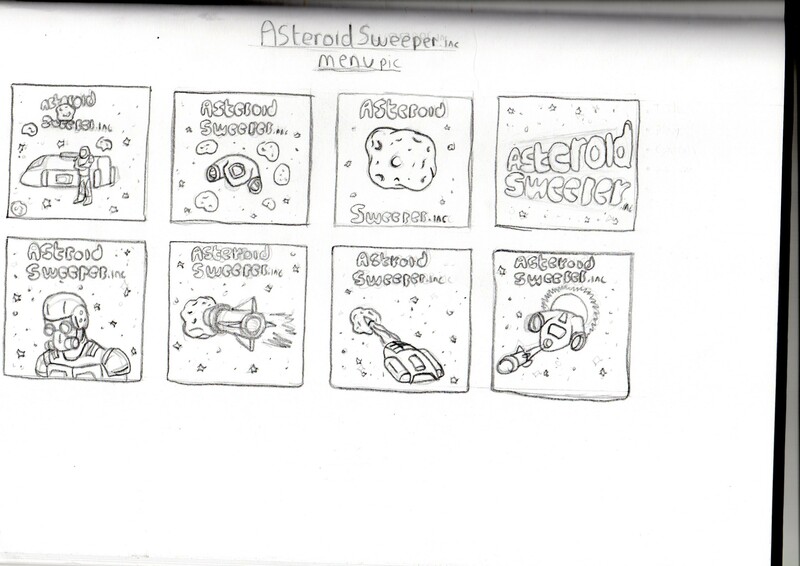 These are my early development sketches for my vertical shooter project. I explored the possibility of various scenarios in brief but ultimately settled on space. 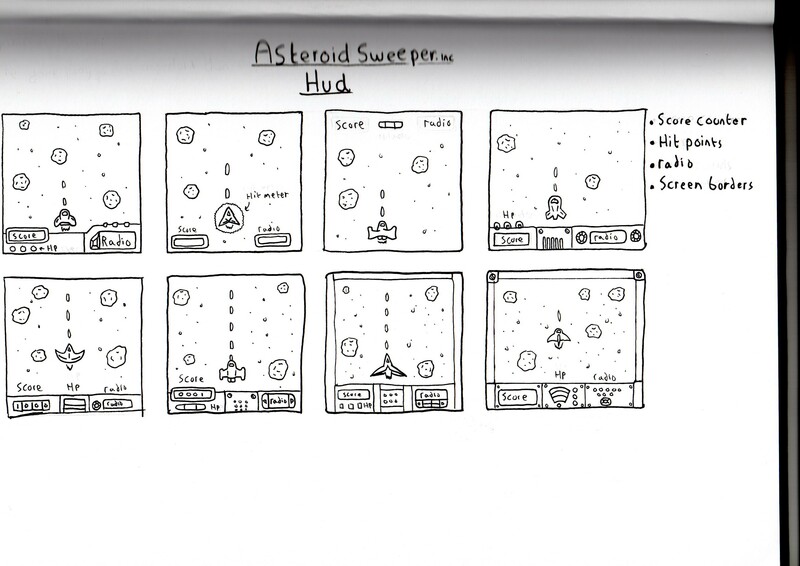 I thought Spaced had a lot of potential for enemy design and hazards. 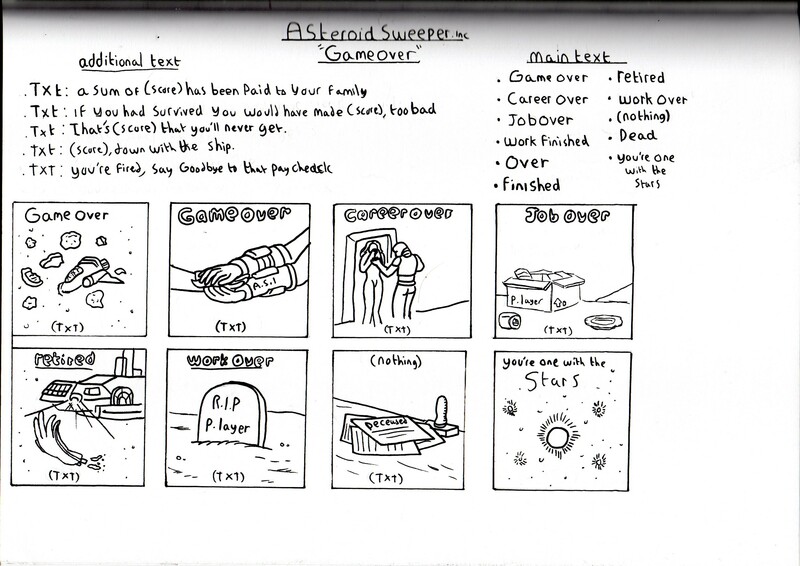 But I opted to go with a simple setting, the player works for a company that removes asteroids from star systems to reduce hazards. 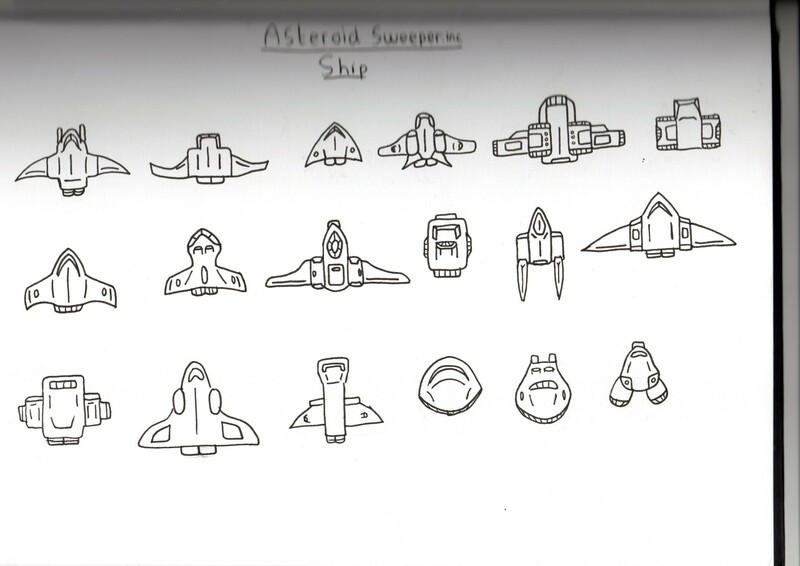 Starting with some scenarios and ship designs to help establish the setting. 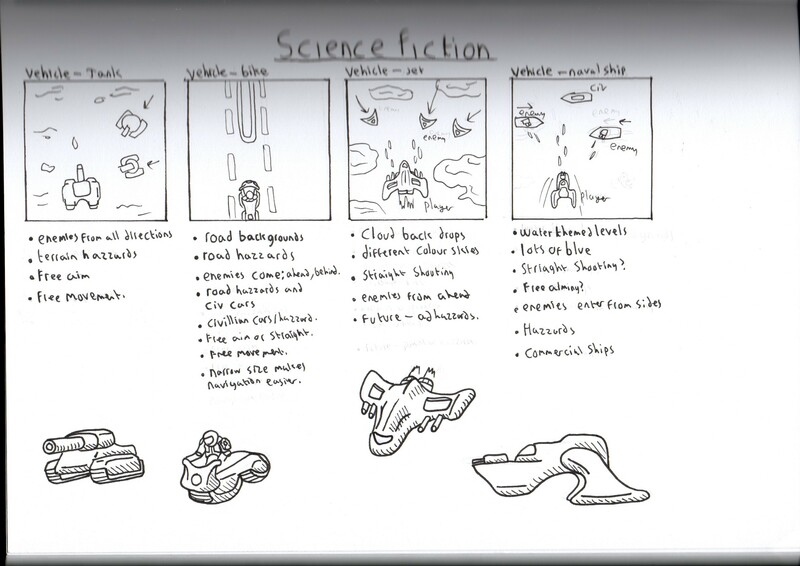 These sketches (above) where considering different setting for the vertical shooter such as on the ground or in the water. It was shortly after this that I decided to set it in space, with asteroids as the targets. 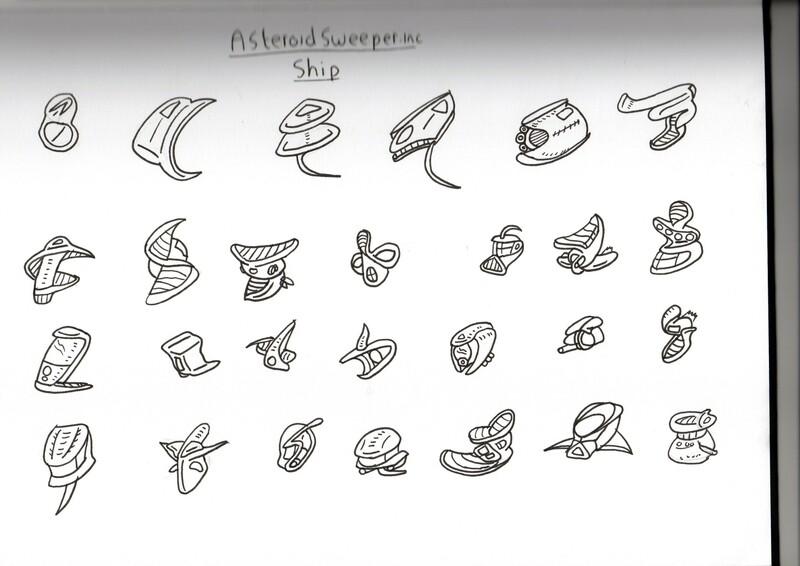 After deciding to go with the space setting I draw up some ship designs. Starting with some more organic looking ones with lots of curves and rounded parts. 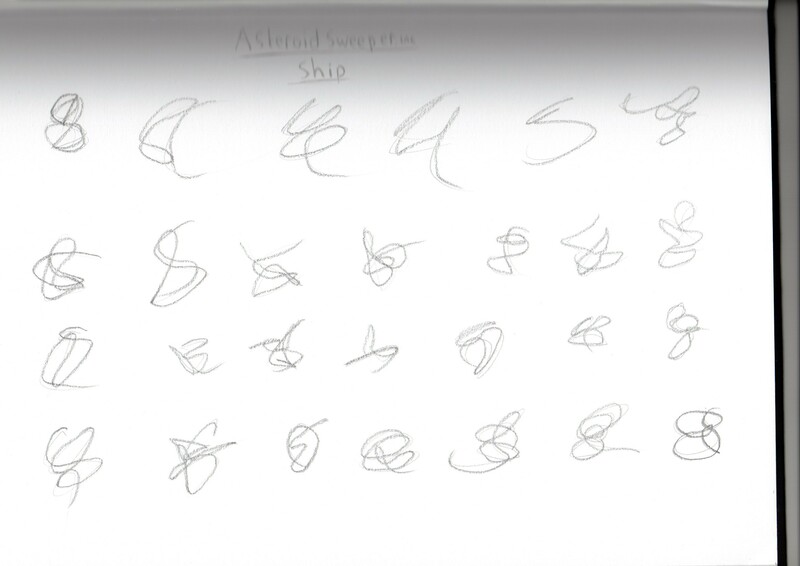 I also drew some more industrial ships using straight edges and primitive shapes. 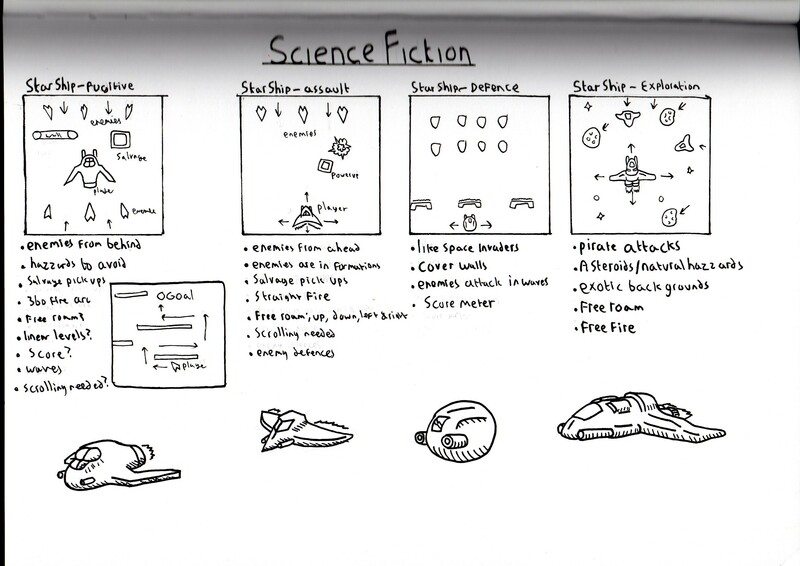 These drawings were designs for the HUD elements one was considering the placement of them on screen. The other was focusing more on the design and details of these elements. 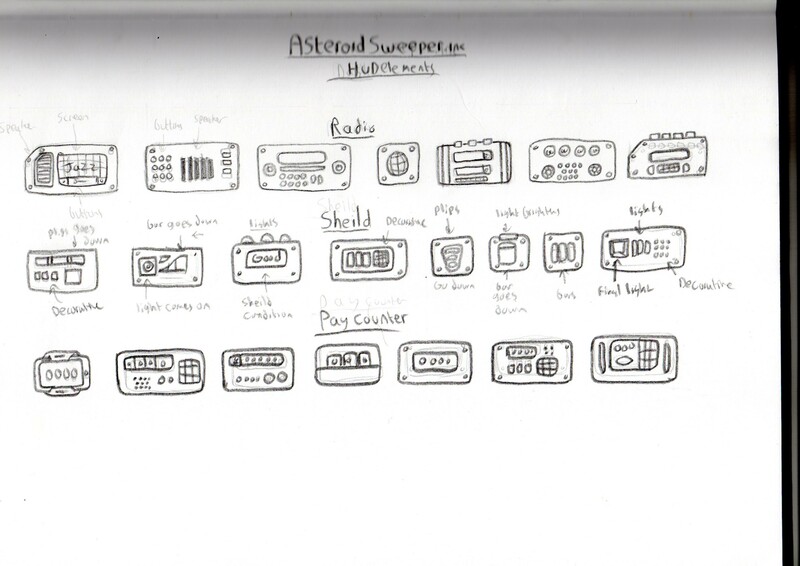 I wanted it to look like a dashboard with lots of buttons and switches. The Next few pictures the Actual graphics used in the game. This is the player’s ship as seen in the game. I opted for the more industrial look to reflect it’s part in a company. The image on the right is the one featured in the title screen of the game. These images are of the HUD’s final design. 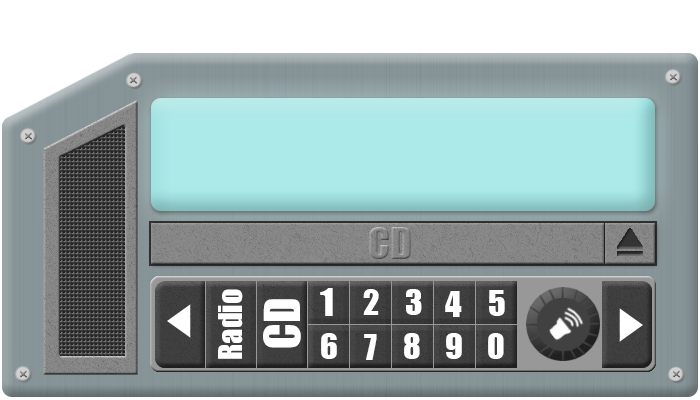 the left part is the score counter with a Ac vent and calculator. The right side is the radio with a CD tray and controls. 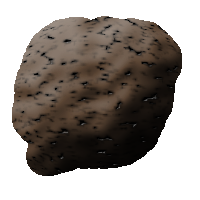 This is the asteroid I made for the game. 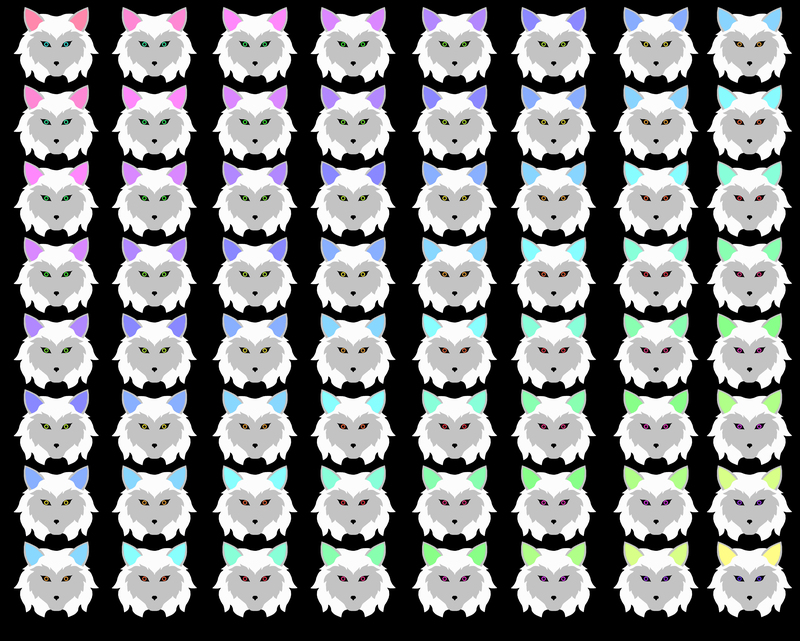 I was going to add a grey one to the game for variety but couldn’t figure out the coding to do it. This is the image used for the game over screen. 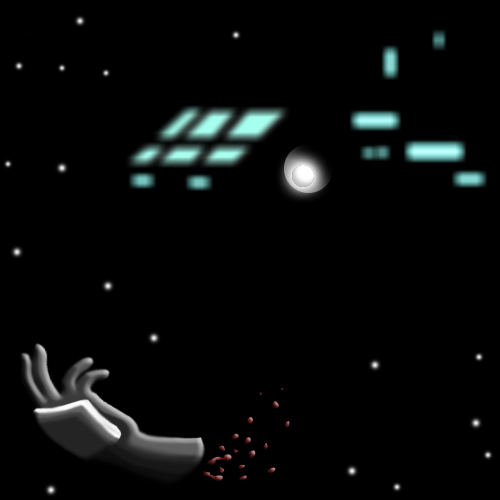 Depicting the remains of the player been detected by a large unseen ship of the same corporation.